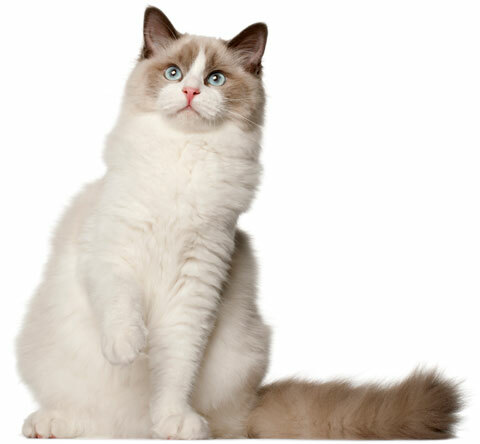 The Ragdoll cat is one of the most popular cat breeds in America. It's easy to understand why; they generally have sweet, loving personalities, are easy to care for, and usually get along with other pets and children. Ragdoll cats also tend to be quite large, stocky, and strong, with males often in the 15-20 pound range. The sweet Ragdoll cat has a way of collapsing into the arms of anyone who picks him up, just like a ragdoll, and that's how his breed's name was chosen. Ragdoll cats love to play and are easily trainable. In fact, they can learn to play fetch and hide and seek with their humans. They adore people and will greet theirs at the door, following them around to be involved in anything they're doing. Ragdolls are fairly easy to care for. They require minor brushing and nail trimming, but their coats don't mat easily. They need the same routine veterinary care, good nutrition, and dental hygiene that all cats require. Being large cats, Ragdolls need big litter boxes to be sure they can fit in, scratch, and move around comfortably. As with any cat's litter box, a Ragdoll's box needs to be kept clean. Ragdolls also need strong, sturdy cat scratching posts. All cats need posts that won't wobble or fall over when they stretch out and lean into them, and a Ragdoll cat is no exception. However, his size, stoutness, and strength mean that his human needs to choose an exceptionally stable post for him. Most Ragdoll cats don't love being up high like some other cats do, so you don't generally need tall cat trees with perches for them. However, you do need something with enough height for your cat to stretch his large frame all the way up while his back feet are standing on the floor. The Mondo is a great choice. It's tall enough to accommodate a Ragdoll's length while being strong and stable enough to remain securely standing when he throws his significant weight into it. 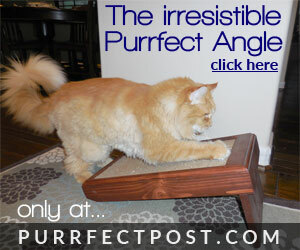 Another great cat scratching choice for the Ragdoll is an angled scratcher. These scratchers allow the big guy to stay low and really get a good scratch for his front feet and leg muscles. He can even turn around and have an upside down scratch. Ragdoll cats are playful and love to have fun, so keeping some extra inserts for your angle scratcher around to "hide" under beds or in closet corners for him to find and scratch will make him super happy. 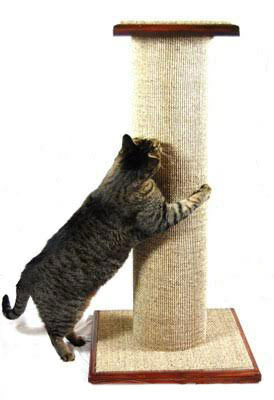 Because Ragdolls are so easily trainable, you will be able to show him how to use the scratching post and have him learn quickly, whether he's a kitten or an older cat.